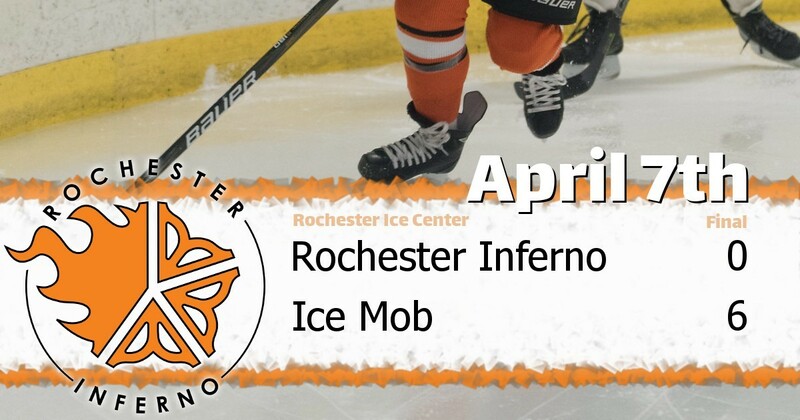 ROCHESTER ICE CENTER, April 7, 2019 - The visiting Rochester Inferno (D) took on the Ice Mob in a 2019 Spring Classic matchup on Sunday. The Mob defeated the Inferno 6 to 0 at Rochester Ice Center. This was the first match-up between these two teams. The Rochester Inferno had 1 player that made the scorecard. Tim Moynihan was whistled for 2 penalty minutes. Michael Atseff was awarded the tournament poop.